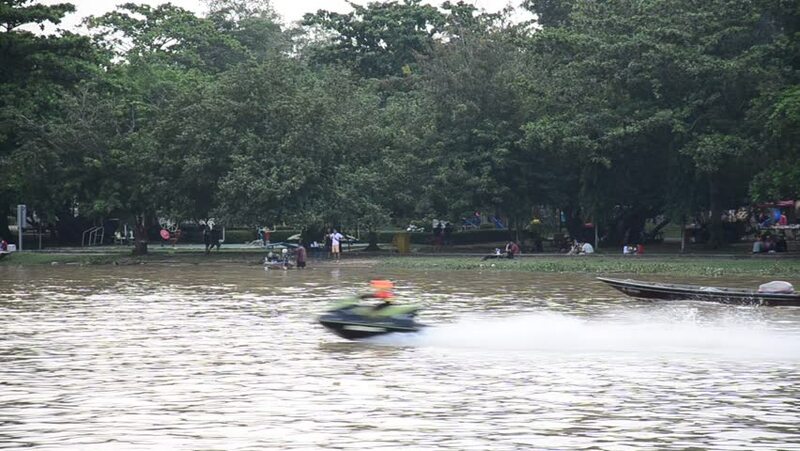 SURAT THANI, THAILAND - SEPTEMBER 20 : Thai people driving long tail boat and jet ski at Tapee river on September 20, 2015 in Surat Thani, Thailand. hd00:13Novopolotsk, Belarus - circa 2012. Young Girl Riding Wakeboard On The Lake.